Since pet rabbits are not able to dig and wear down their claws inside your house or apartment, their nails will invariably grow too long. 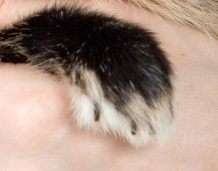 Keeping your bun’s nails at an appropriate length is very important. Long nails may potentially curl into your rabbit’s foot, or they may snag on something, causing great discomfort to your pet. Clipping your rabbit’s nails may seem a daunting task. And many rabbit owners elect to let their veterinarian handle it. Frequent vet visits can get expensive, however. So here is some advice on trimming your rabbit’s nails yourself. Examine the claw to locate the vein inside the nail. This vein is called the quick, and you should avoid cutting it. 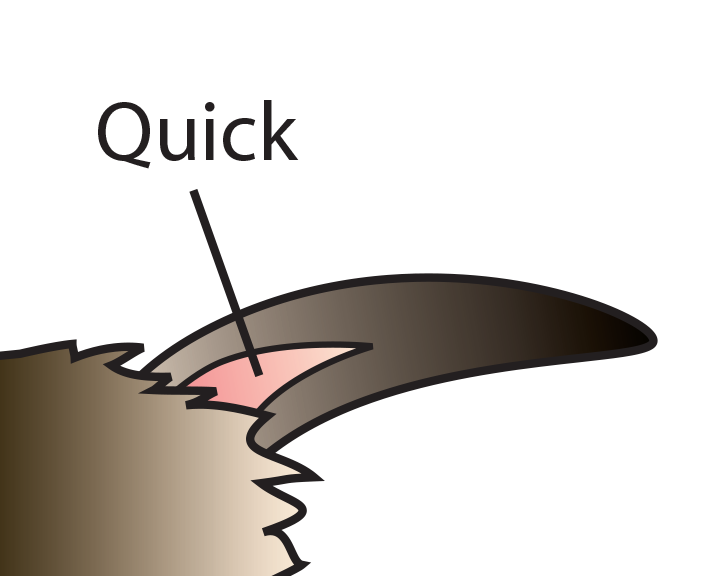 Cutting the quick will cause your pet to experience some pain, and he/she will bleed. Some rabbits’ nails are quite dark, so you will need a small flashlight to see it. If you do accidentally trim the nails too short, use flour or styptic powder to stop the bleeding. Some bunnies are startled by the sound of clipping. In these situations, you may consider simply filing the nails down, but this may be a longer process if your rabbit’s nails are quite long.